TOKYO (TR) – The nightlife quarter of Kabukicho, just east of JR Shinjuku Station, bristles with non-stop activity. Amid the garish flashes of neon are touts cruising for clients, drifting drunks, hostesses hustling off to bars and the occasional gangster tiff. In the late 1960s — a time when young architect Minoru Takeyama was commissioned to design a pair of buildings a block apart for accommodating adult entertainment businesses — it wasn’t quite as active. The result was a pair of eight-floor structures that housed bars, clubs and saunas and opposed one another to create a sense of balance. The monochrome Ichibankan (1969) is dark and sleek, its front is similar to a Transformer character whose sides take the shape of arms ready to embrace entering guests. The colorful Nibankan (1970) features a “supergraphic” of red, yellow and white lines and concentric circles emblazoned across its sloping sides of concrete and metallic sheets. In the first half of the last century, buildings like the Tokyo Central Post Office (1931) in Marunouchi were increasingly influenced by such Western architects as Le Corbusier (1887-1965) and concepts like Bauhaus to become examples of modern architecture. Then, with industrialization subsequently suffocating the creativity of the nation in the decades following World War II, post-modernism came to the forefront. 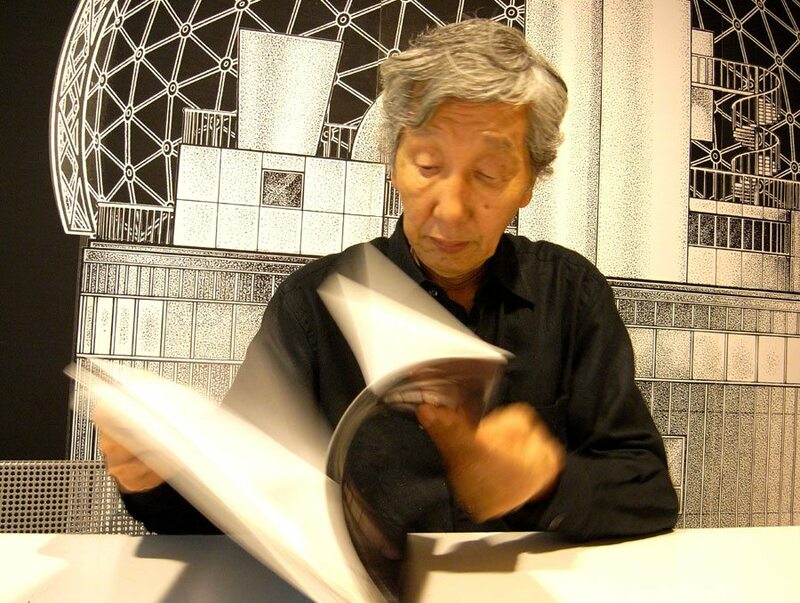 Experts considered Takeyama’s structures to be the first examples of this new avant-garde spirit. Today, Ichibankan is completely closed, and Nibankan, whose exterior is riddled with chipped paint and cracked concrete, maintains only a first-floor restaurant in operation. Ownership changed two years ago. 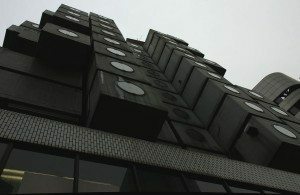 During a meeting with their present owner, Sankei Hotel, a lodging operator that specializes in business and love hotels, representatives of the company indicated that the future use of the buildings has not been decided. Such a potential reprieve has been rare as the elimination of Japan’s landmark properties becomes routine with calls for preservation often being crushed by developers’ wrecking balls. The challenges facing preservationists are numerous. 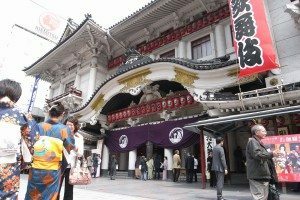 Last October, entertainment company Shochiku announced that the Kabuki-za theater in Ginza, Japan’s home for kabuki since it was founded in 1889, will close next year and be reinstalled inside a large office complex by 2013. Reconstructed twice, its 1924 incarnation incorporated a new style of non-burnable building materials. The current five-decade-old building achieved tangible cultural property status in 2002. Crucial, too, has been the financial incentive given to developers. In 2002, Prime Minister Junichiro Koizumi passed legislation that lifted regulations that once placed major restrictions on zoning and building height in exchange for the establishment publicly accessible parks or plazas on any newly constructed properties. Often referred to as an “urban renaissance,” the deregulation was intended to maintain Tokyo’s competitive status with nearby metropolises Hong Kong, Shanghai, and Singapore. Like Shochiku, falling into this category is Japan Post, which became a pseudo-private entity two years ago. It is in the process of constructing a 200-meter building on the site of the aforementioned Tokyo Central Post Office, a cornerstone to the square in front of the Marunouchi side of Tokyo Station. The curved, brick building will eventually incorporate parts of its exterior façade in the new design. 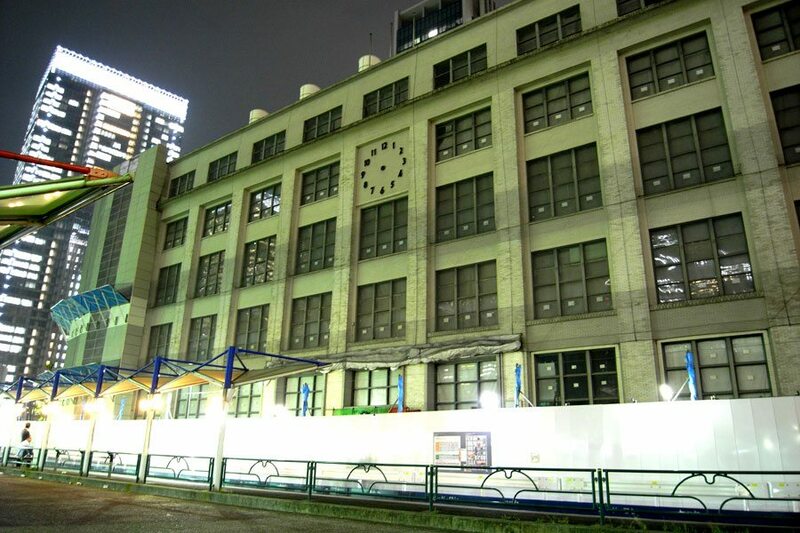 Last-ditch attempts to save the building resulted in Japan Post earlier this year announcing that it will seek tangible cultural property status for the property and retain more of the original structure than first planned. 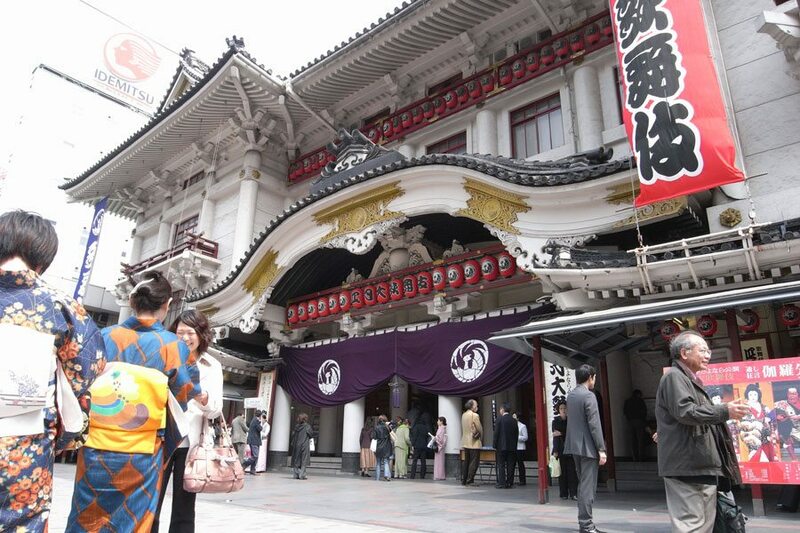 Kabukicho’s Koma Stadium theater had been, since 1956, a popular venue to view enka and musical shows. It was acquired last year by film studio Toho, which also owns the adjacent Shinjuku Toho Kaikan and plans to redevelop both plots. Publisher Kodansha’s Noma Dojo training facility, established in 1925, was knocked down in late 2007 in favor of a more modern complex. Many other preservation pushes have failed. The Sanshin Building (1930), an eight-floor structure that overlooked Hibiya Park and contained elaborate ceilings and columns, was demolished by developer Mitsui Fudosan in 2007. The concrete Dojunkai apartments were innovative housing structures (featuring trash chutes and gas lines) upon their completion between 1924 and 1934 at 16 locations in Tokyo and Yokohama. In 2003, the five-story Otsuka Women’s Apartment House was demolished, and the Aoyama site was replaced three years later by Tadao Ando’s concrete and glass Omotesando Hills shopping center. 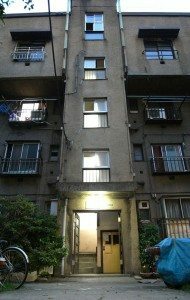 Two apartment blocks remain today; one in Ueno, another in Minowa. Mitsui believes that as a solution to here-today-gone-tomorrow Tokyo needs to adopt master planning. “The formation of a master plan will define such things as the height and use of the building,” he says, adding that complications within private land ownership and a lack of government impetus thus far have made such a concept very difficult. Yet the government does offer some support — albeit through a tradeoff that benefits developers. In exchange for preservation of its notable Mitsui Honkan (1929), Mitsui Fudosan was allowed to develop a nearby site into the 39-floor Nihonbashi Mitsui Tower (2005). The height of the new structure exceeded that permitted by law but Mitsui was allowed to transfer the unused air rights (i.e. potential additional floor area) of the old building following its preservation. The Paris-based conservation group Docomomo International, which works to preserve modern buildings, established a Japanese branch in 2000. Its group of experts has designated over 135 structures as important. In addition to the remaining Dojunkai units and the Tokyo Central Post Office, the list includes Frank Lloyd Wright’s Myonichikan (1921), Tokyo Bunka Kaikan (1961) and the Nakagin Capsule Tower (1972), the Kisho Kurokawa-designed structure of stacked concrete residential modules. The group is now focusing its attention on buildings from the 1970s — a move probably too late for the Kenzo Tange-designed Hanae Mori building (1977), the glass-walled Omotesando landmark that is scheduled to be pulled down following the removal of its tenants this year. As to Ichibankan and Nibankan, Docomomo’s Suzuki says that the group finds Takeyama’s work to be very significant. Yet an approach and time frame for preservation of his buildings has not been determined. “At Docomomo, we realize that there is a connection between modernism and post-modernism that needs to be discussed,” he explains.